October 20, 2015. Public health practitioners are uniquely positioned to help build resilience to climate-related disasters at the community level. 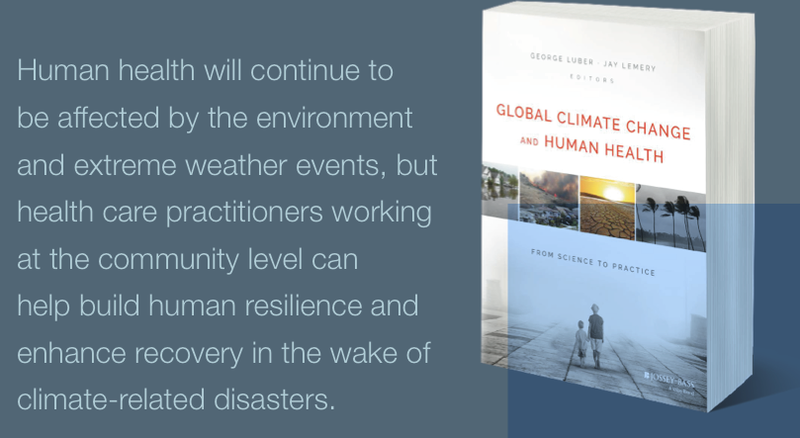 So argue George Luber and Harvard FXB Fellow Jay Lemery in a recent whitepaper on extreme weather events and their impact on human health. The paper comes in advance of their upcoming book, to be published next month (Wiley). This month Lemery also co-authored a blog on climate change and the Sustainable Development Goals for Health and Human Rights Journal’s COP21 blog series, on climate change and the right to health.